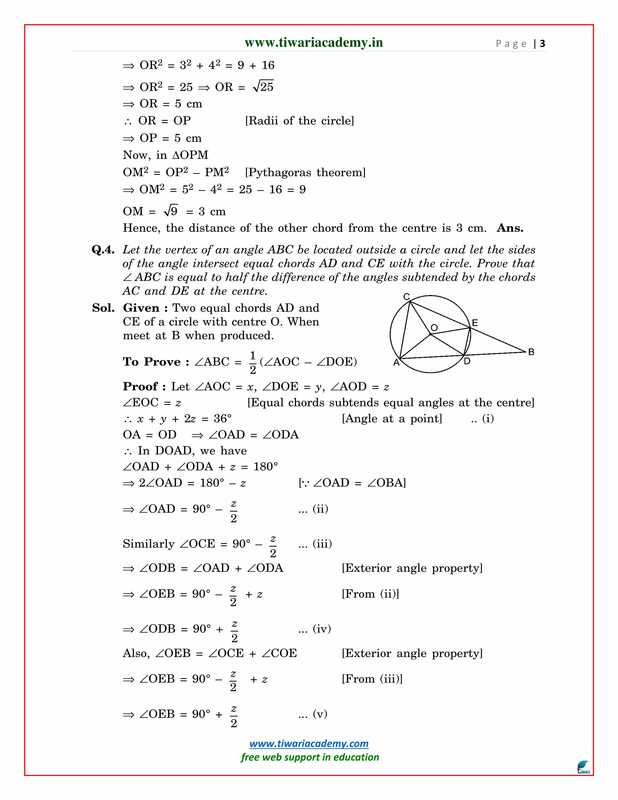 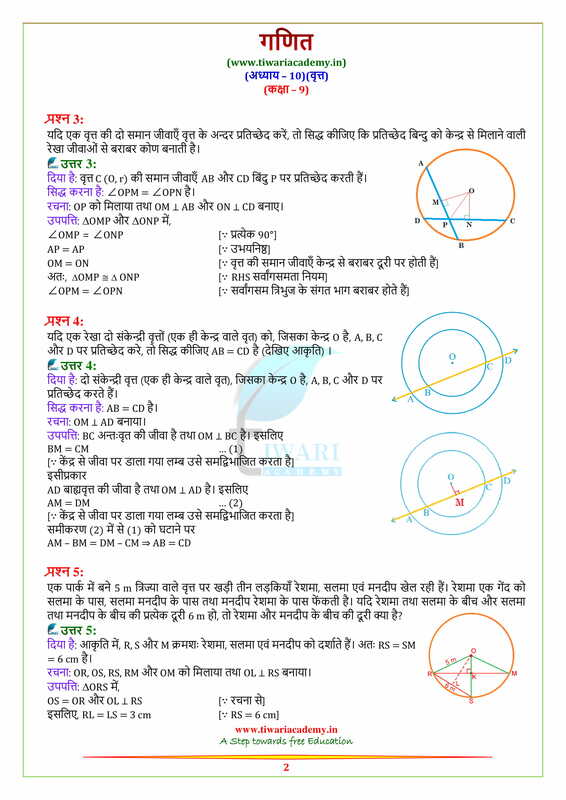 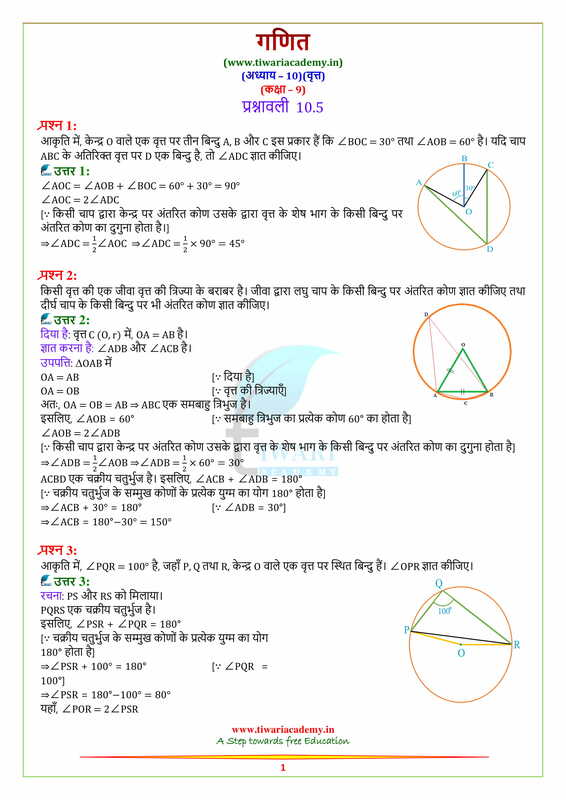 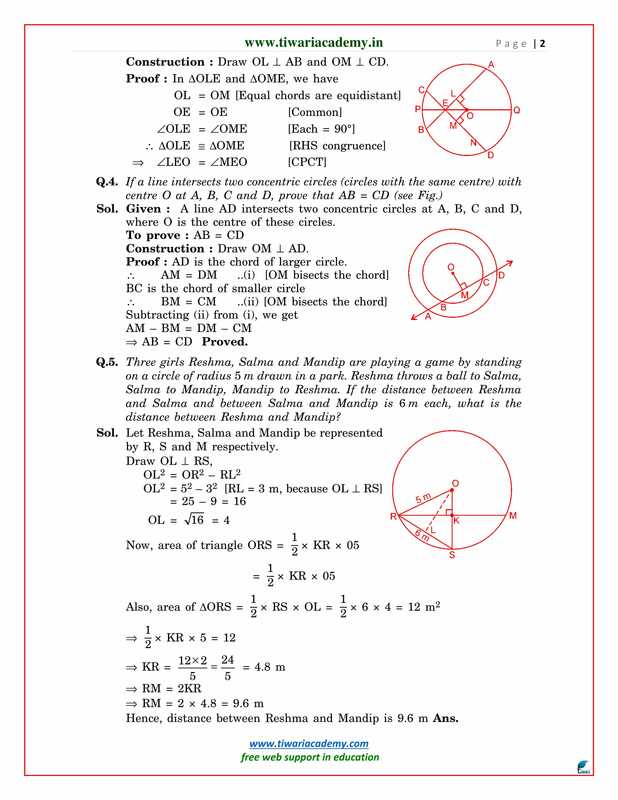 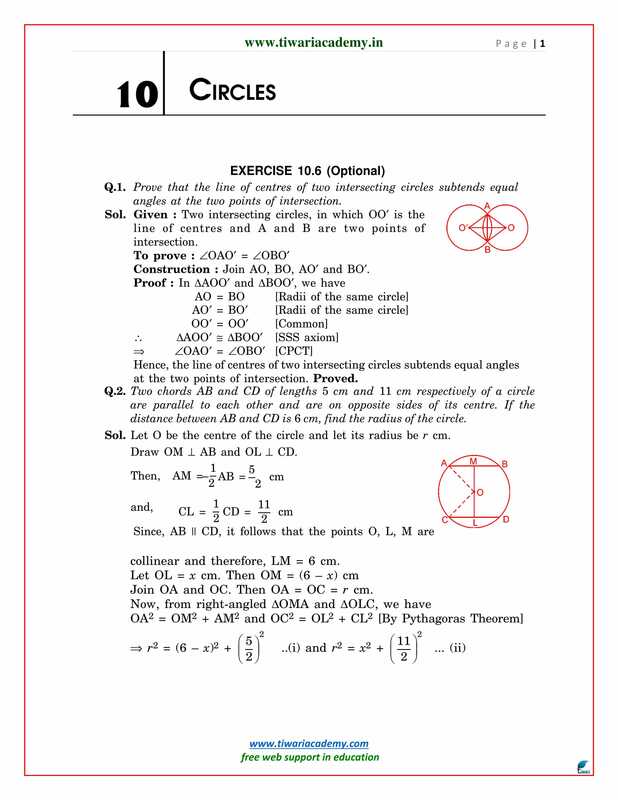 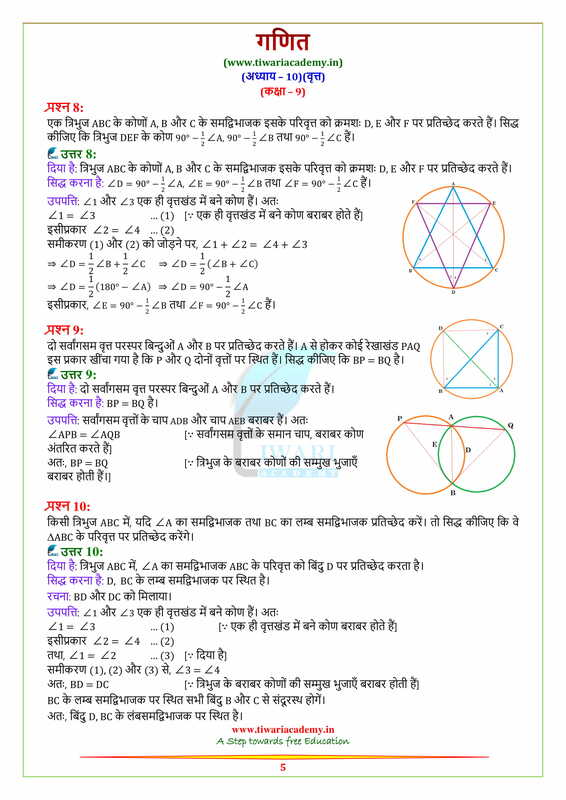 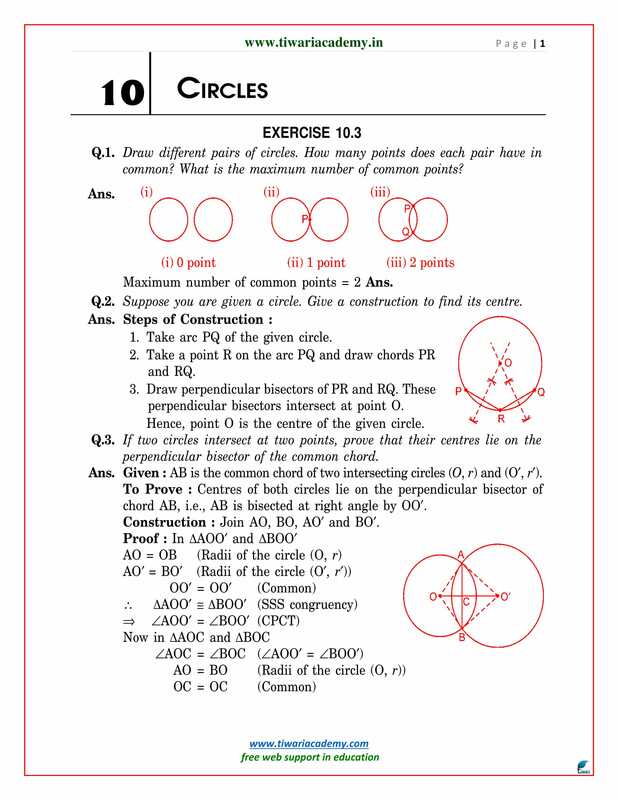 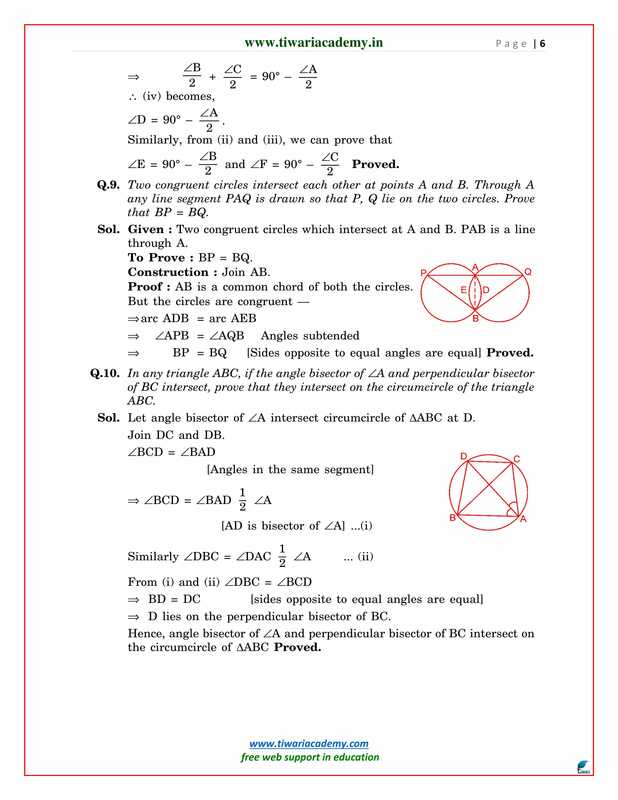 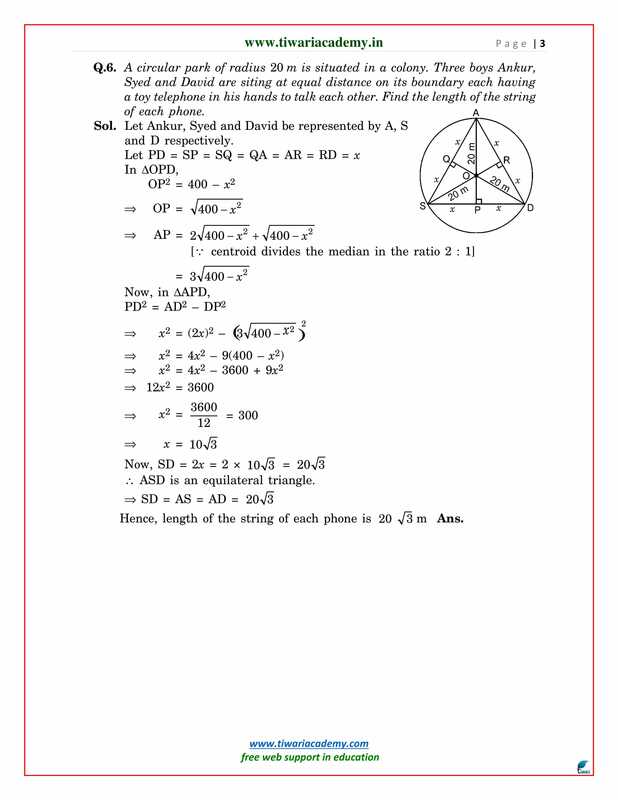 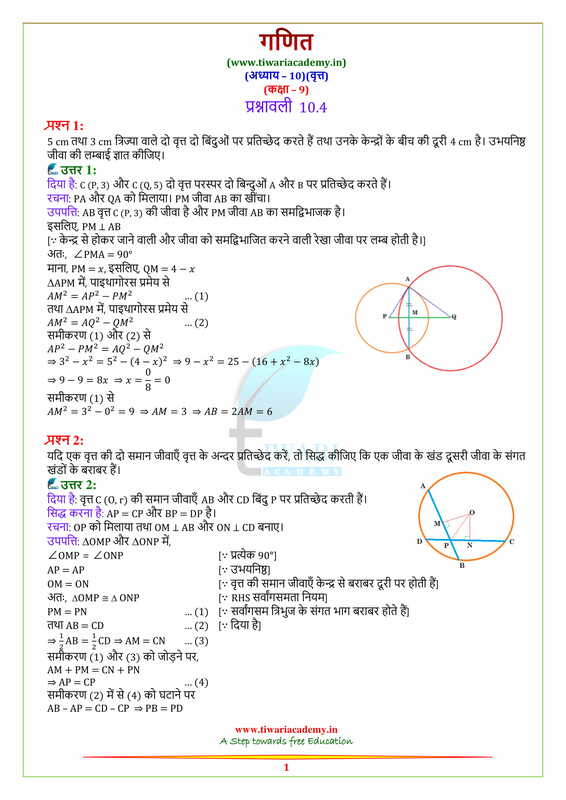 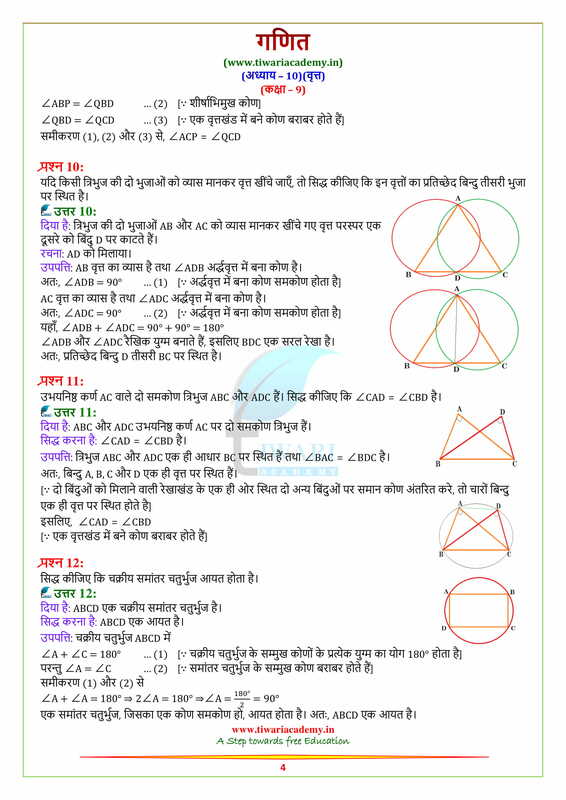 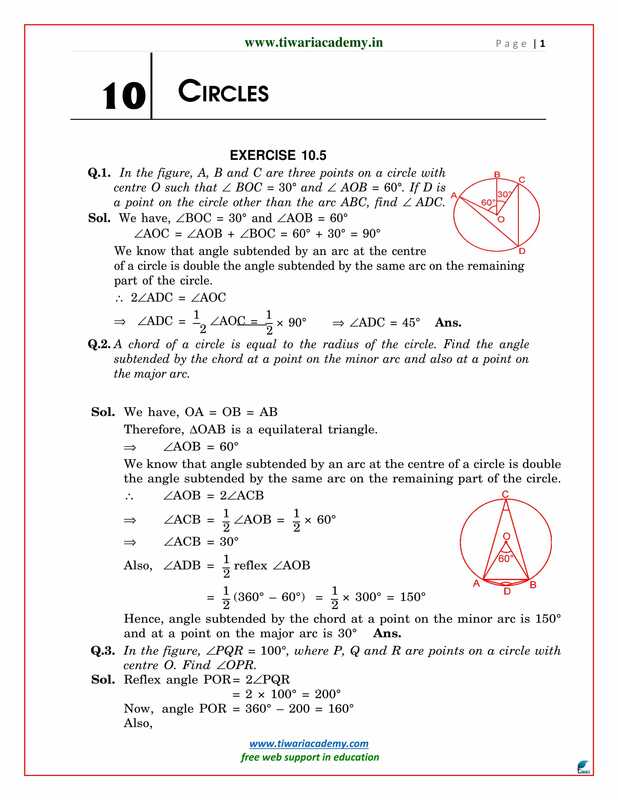 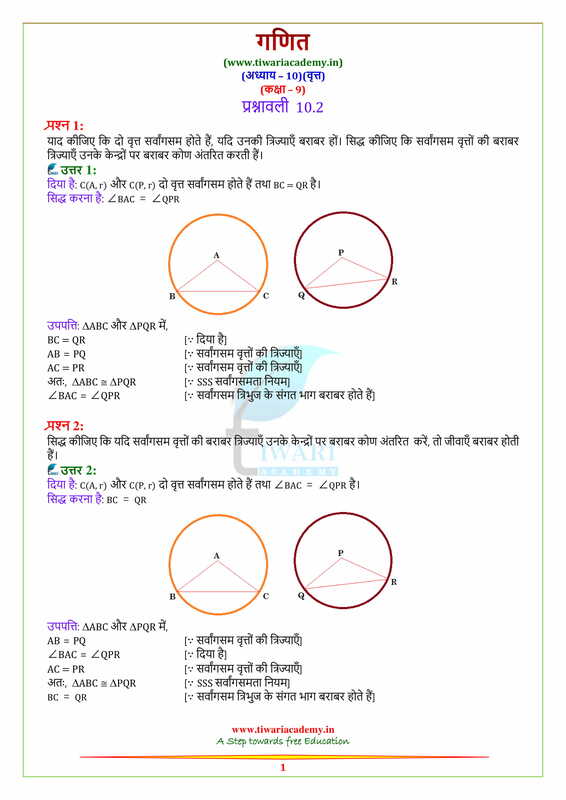 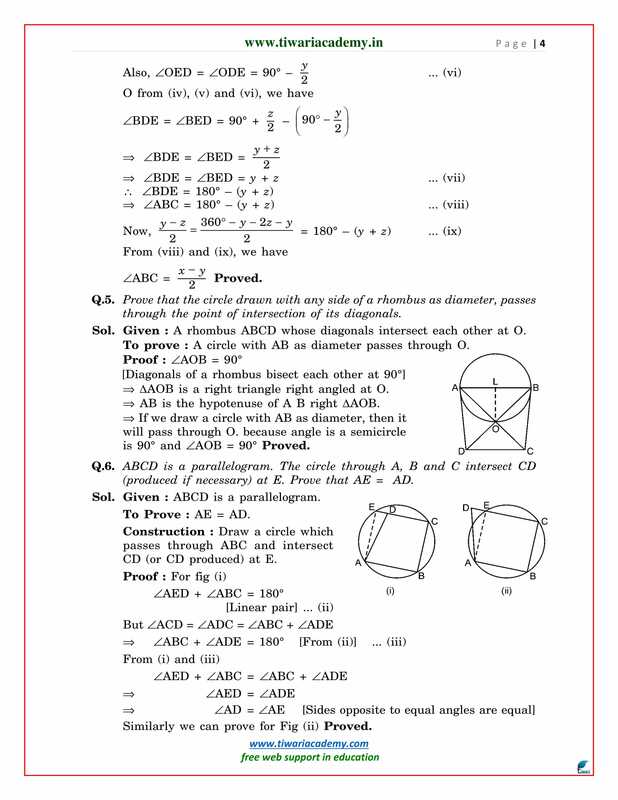 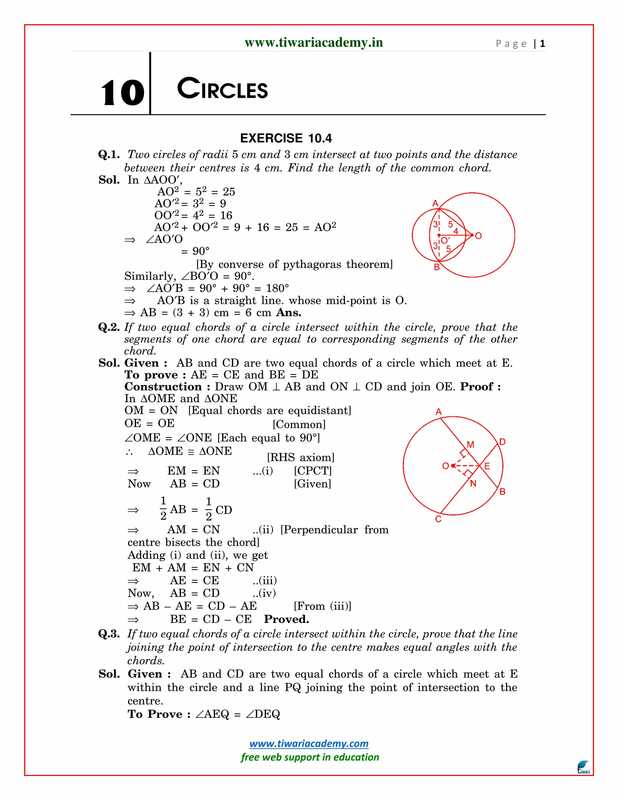 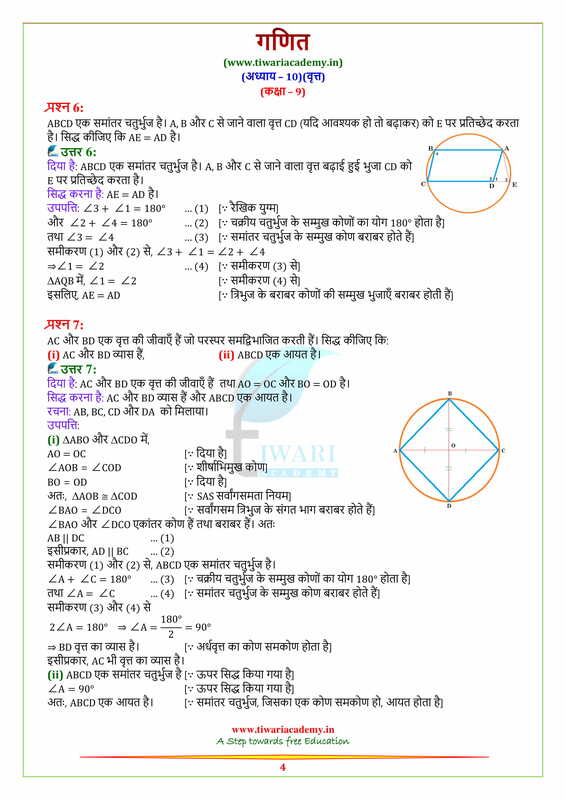 Free download NCERT Solutions for Class 9 Maths Chapter 10 circles exercise 10.1, 10.2, 10.3, 10.4, 10.5 and 10.6 in English Medium and Hindi Medium free to use online. 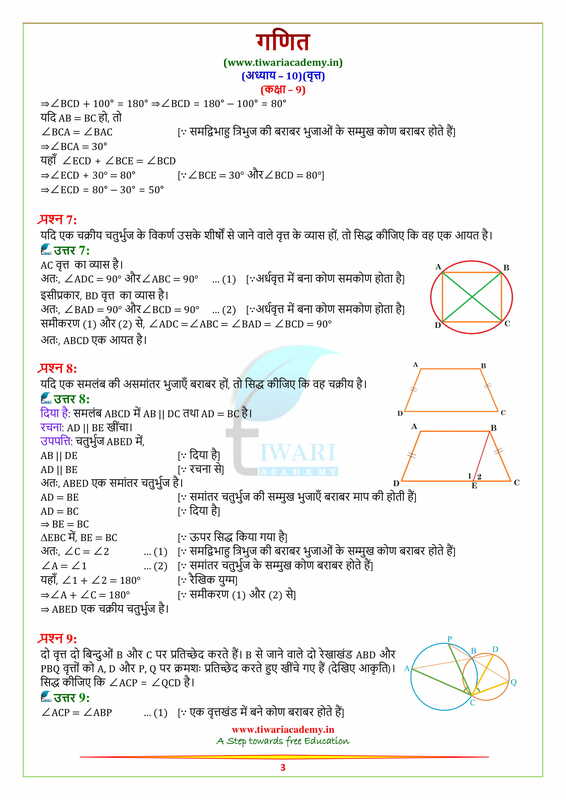 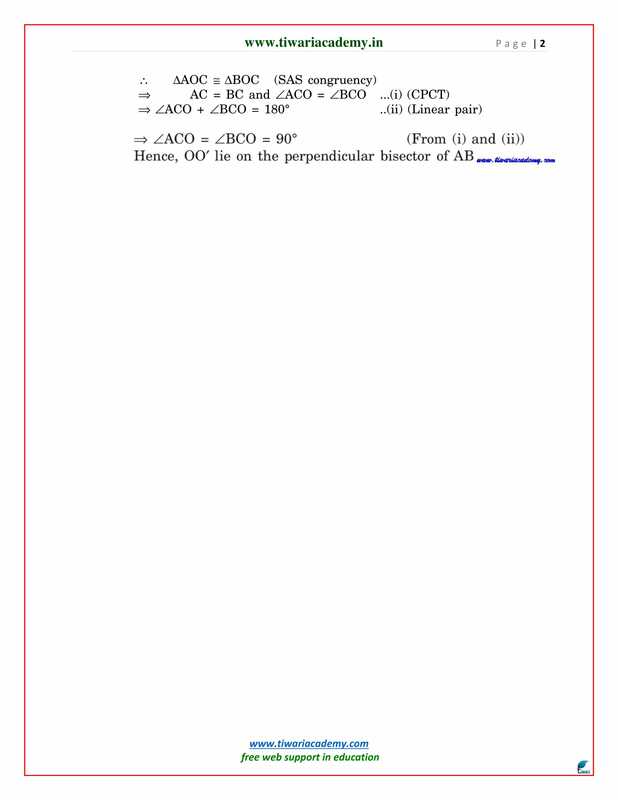 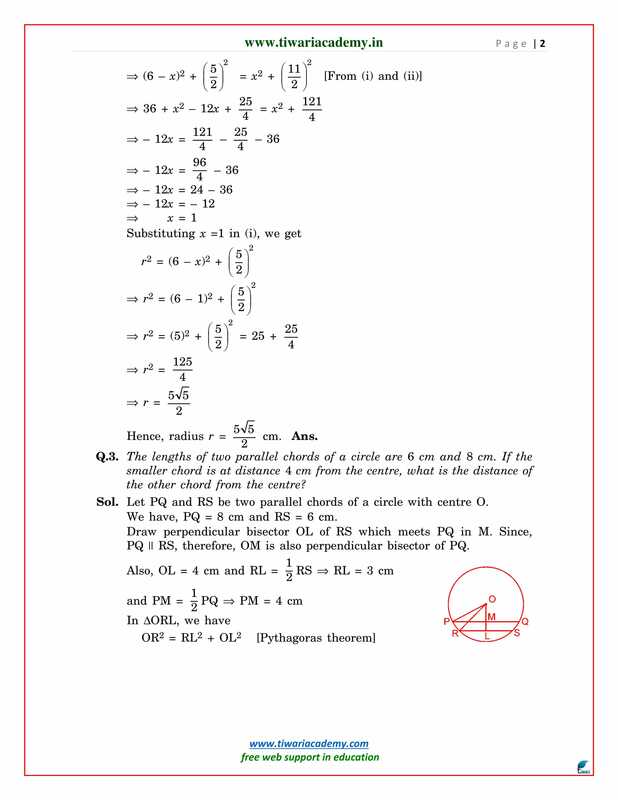 Class 9 Maths Solutions along with the other subjects NCERT Solutions are available in PDF form to free download. 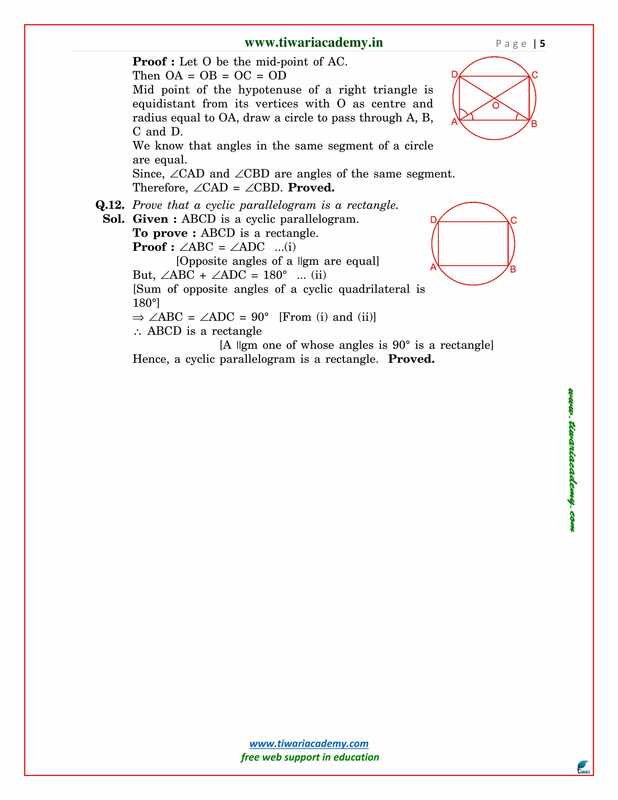 Prove that cyclic parallelogram is a rectangle. 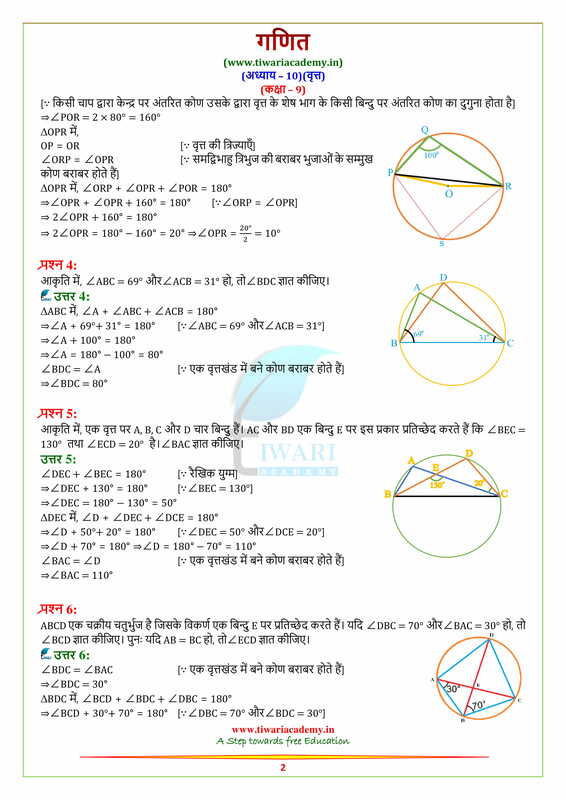 If two non-parallel sides of a trapezium are equal prove that it is cyclic quadrilateral. 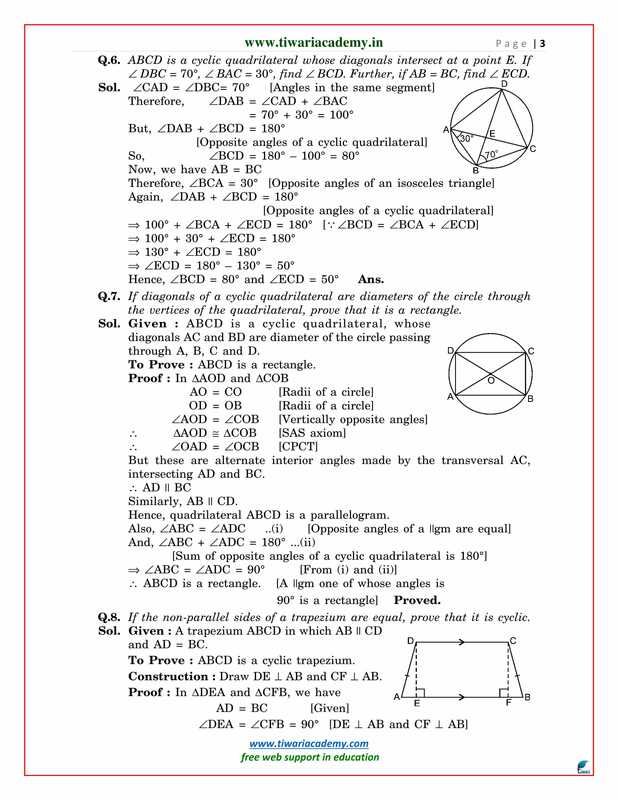 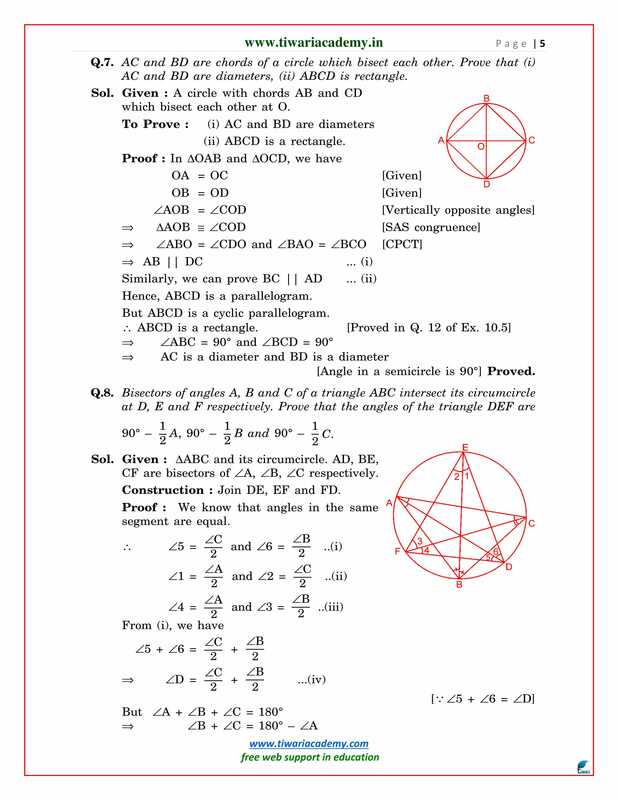 In an equilateral triangle, prove that the centroid and the circumcentre coincide. 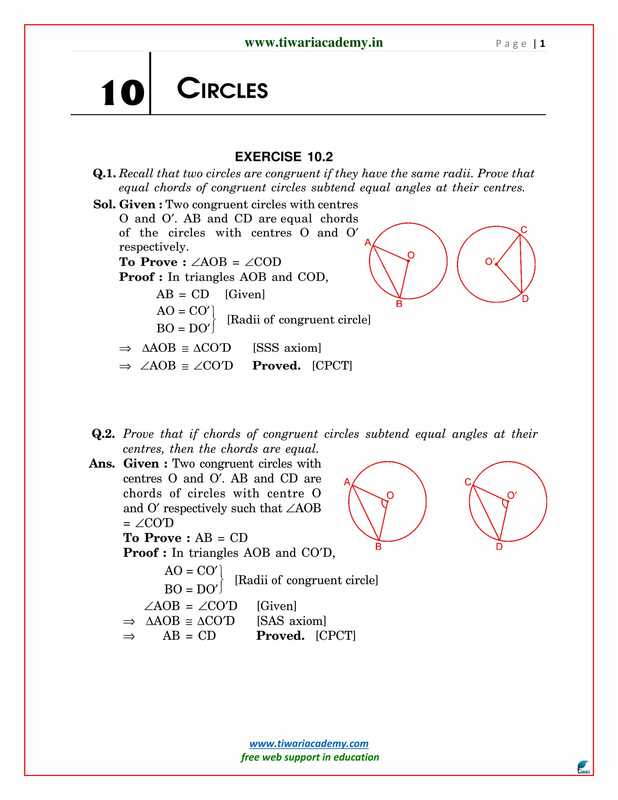 If two equal chords of a circle intersect within the circle prove that the segment of one chord is equal to corresponding segment of other chord. 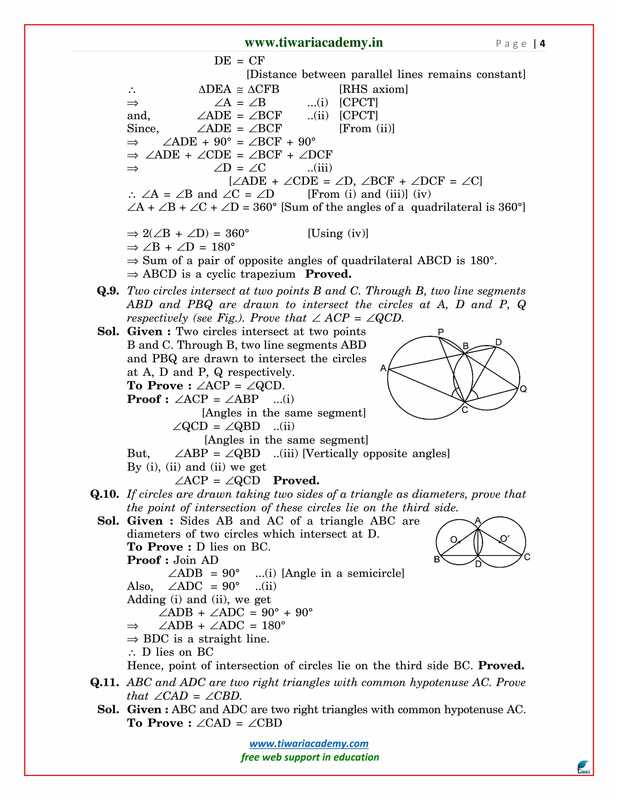 Prove that if a pair of opposite angles of a quadrilateral is supplementary then the quadrilateral is cyclic. 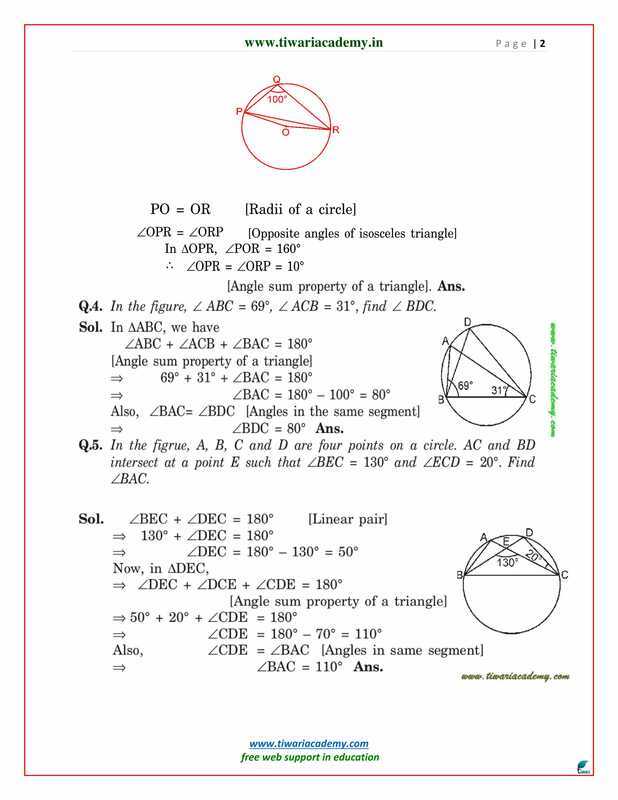 Bisector of angle A, B and C of a ∆ABC intersect its circumcircle at D, E and F respectively, prove that the angles of a triangle DEF are 90° – ½A, 90° – ½B and 90° – ½C.